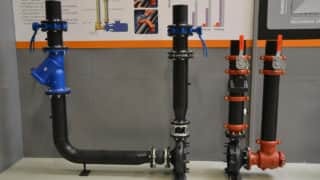 In part one of our interview with director of couplings and fire suppression systems, Susan Schierwagen, we took a closer look at the recent innovation from Victaulic, the new FireLock™ Installation-Ready™ Fittings. 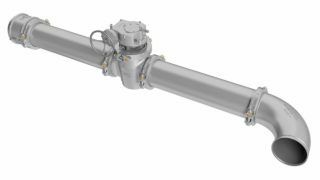 Combined with the simplicity of the FireLock EZ™ Rigid Coupling – Style 009N, the new single-unit design solution provides fast, easy pipe connections with no need to disassemble. In part two we focus on the impact this new product will have on the fire protection industry. Take a look! What value do the new fittings bring to the industry and what impact will it make? It will continue to help contractors minimize their schedule. The biggest variable in the field is labor so the more we can do to help them either mitigate or eliminate that variable, the better. Saving contractors time and energy on the jobsite while providing a simple, intuitive solution is a huge value that we are happy to provide. What are you and your team most excited about with the launch of this new technology? Our initial response and feedback from contractors, during the trial installations, has been very positive and reinforced our mission to solve customers’ needs. We are very excited to see how our customers react to it and adopt it. We are also looking forward to getting on the jobsites and observing the successes first-hand. Whatever we learn from those visits will further help our innovation in the future around the Installation-Ready technology concept. Are there any major competitors? From a mechanical joining system perspective, there is no other product like this in the field today that offers customers the benefits this new technology does. 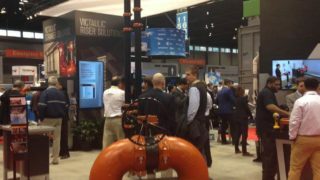 Victaulic is adding a very innovative solution that will take us to the next level within the fire protection market. What do you consider to be the product’s most important benefit? Jobsite inventory management is key. The FireLock Installation-Ready Fittings reduce the number of parts on a jobsite, minimizing the material handling by reducing the number of times the sprinkler fitter needs to go up and down the lift or ladder. In addition, the fittings have no loose parts to drop or lose minimizing jobsite inventory and material handling on-site, therefore reducing the risk of personnel injury. Is there anything else worth noting? This product also has a built-in wrench feel, for simple installation validation, making it very easy to tighten so that when the product comes pad to pad it will not only be a visual confirmation but the contractor will also know based on the curve of energy required to tighten at the last turn and a half. Also whether installing couplings or fittings on a lift, a contractor does not have to change the socket on the impact gun or wrench because it is the same size. An important feature for sure. Victaulic is also bringing new technology onto the jobsite with QR codes so our customers can easily access installation videos and instructions with their smart devices and not have to worry about keeping track of paper instructions. Victaulic’s FireLock Installation-Ready Couplings revolutionize the planning and implementation of fire protection systems where safety, installation speed, efficiency and reliability are dominant. They are the logical next step for our customers in the advancement of the technology’s innovation and we are excited to bring it to the marketplace. For more information or to request a demo visit www.firelockfittings.com.